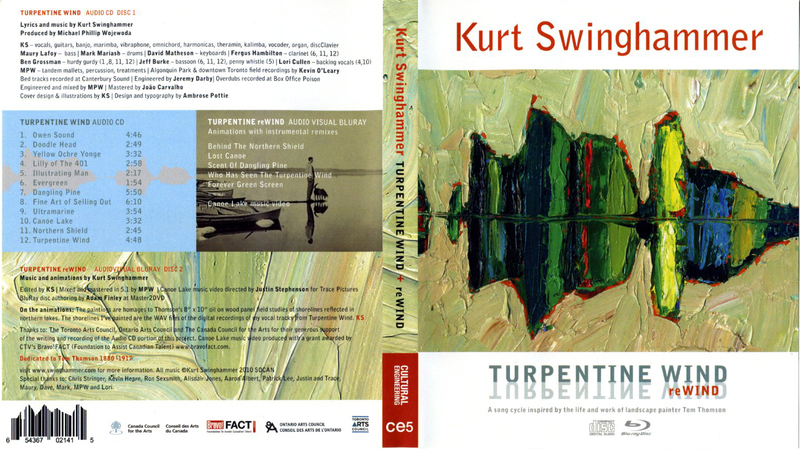 Kurt’s paintings are currently sold at INabstracto in Toronto and The True North Gallery in Waterdown, Ontario. You can also contact the artist directly if you are interested in seeing more work, or would like to commission something. 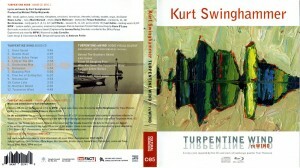 The song cycle inspired by the great Canadian landscape artist Tom Thomson, is only sold from this site. 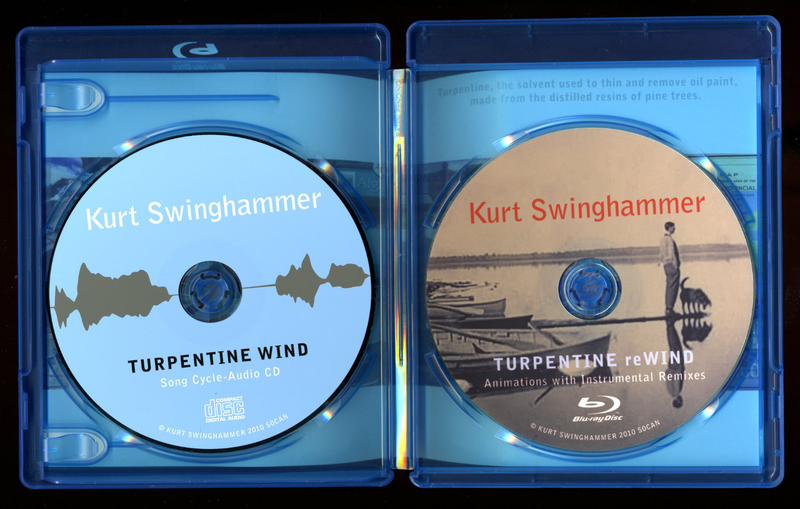 It is a 12 song CD, beautifully produced by Juno award winner Michael Phillip Wojewoda, plus a companion Bluray disc of ambient instrumental 5.1 remixes set to animations by Swinghammer (this disc will NOT play on standard DVD machines). 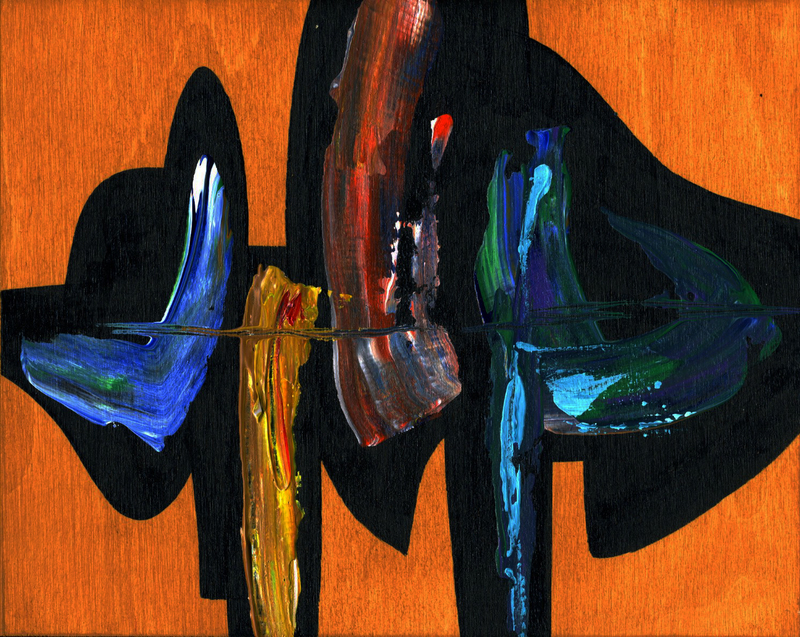 The discs come with an original, signed 8″x10″ acrylic painting on wood panel of a WAV file of a lyric from one of the songs. The entire lyrics for all the songs have been painted, which represents 500 individual panels. Each one has the lyric written on the back, the song it came from, and Kurt Swinghammer’s signature. For downloads of the music, please go to Bandcamp or iTunes. This is an example of one of the paintings. Each one is unique, but there are several different “families” that have common techniques and colour schemes. Each painting is chosen by the artist. The panel is on a wood frame 1/ 1/2″ thick with painted edges, so it doesn’t need to be framed. The price of the painting and discs is $125 plus shipping and tax.